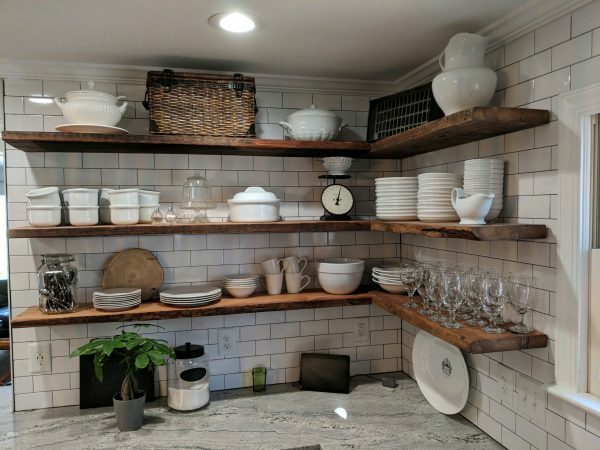 Our reclaimed hemlock shelving material is the perfect addition to add floating shelves to kitchens, bars and basement. Ready in our store and cut to various lengths. Material is reclaimed from specific barns and we let the natural patina from its’ past be the focal point in your home or office. 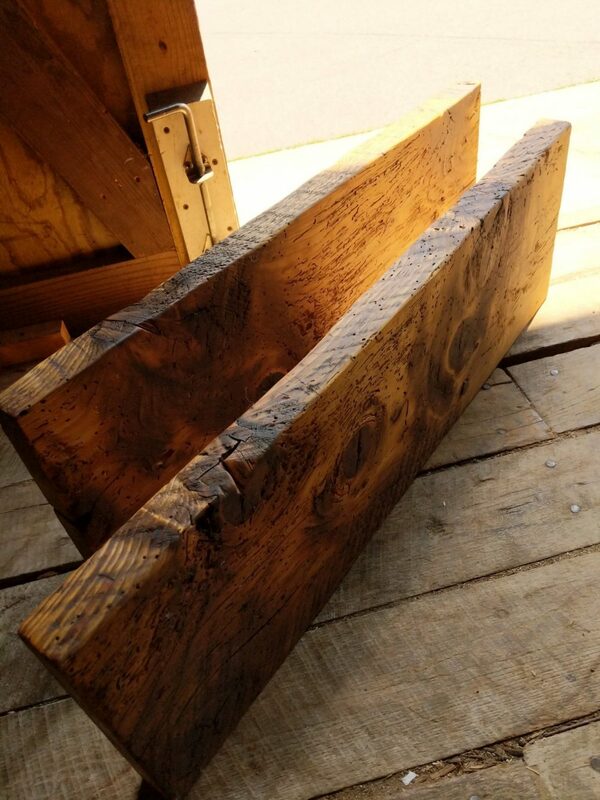 Our reclaimed shelving is ready for brackets or floating shelving applications and finished in a soy based oil with no VOCs and is sold by the linear foot.